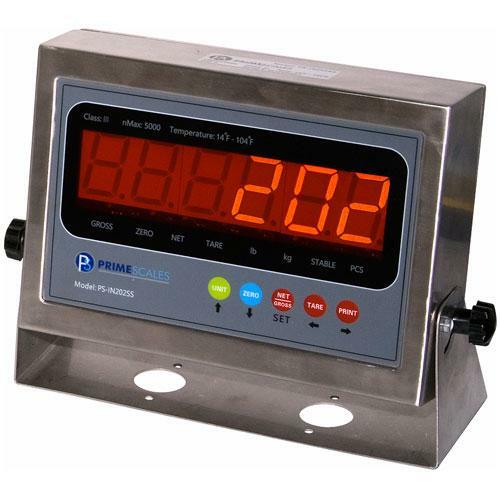 Prime PS-IN202SS indicator is a Legal For Trade (NTEP approved) indicator with serial output for printers or PCs. It features 304 stainless steel enclosure rated IP-67 waterproof. It is the most popular indicator for floor scales, small truck scales and hoppers etc.